New York attorney Jennifer March is haunted by the mysterious and savage slaughter of her family on the same night that her father disappeared, never to be seen alive again. Two years on, his corpse is discovered frozen into a remote glacier in the Swiss Alps, the victim of a bizarre murder, and Jennifer sets out for Europe to find answers. It's a journey that's meant to unravel the frightening mystery of why her family was butchered, and to help uncover a dark secret at the heart of her father's past. 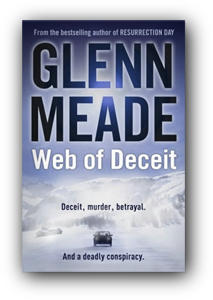 But instead, Jennifer March finds herself running for her own life, as her investigation draws her into a terrifying web of deceit, murder and betrayal, and a deadly conspiracy to hide an explosive secret.